The management of your sales team is vital to its success. But to achieve successful sales management, you need to provide quality sales management training. Staff training is important for every part of a business, and management is certainly no exception. Without productive training you’re not getting the full potential out of your sales team. This training can be carried out internally or externally, over training days, or online courses. Why Does your Sales Management Need Training? You may be surprised how much a little training can do for your team. Training and development for your management staff can optimise their abilities and the output of your team as a result. So what topics should your manager’s training cover? Each manager has their own strengths and weaknesses. But there are certain important areas in sales that every manager should receive training in. This applies even if they’re already strong in that area. There’s always room for improvement. Here’s some sales training ideas for topics you can cover when with your sales management, allowing them to be the best they can be. The best sales team managers are those who’re able to think to the future and forecast possible sales for the team. Managers without the ability to forecast for future possibilities aren’t getting the most out of their team. Your sales managers need to be able to make informed predictions on the team’s future business and circumstances. By being able to do this, they can plan for future circumstances and lessen their chances of getting caught out by the unexpected. They should have an excellent understanding of what external factors affect their sales team’s profits. This can include time of year, market status, business reputation, competitor activity, and many more factors. 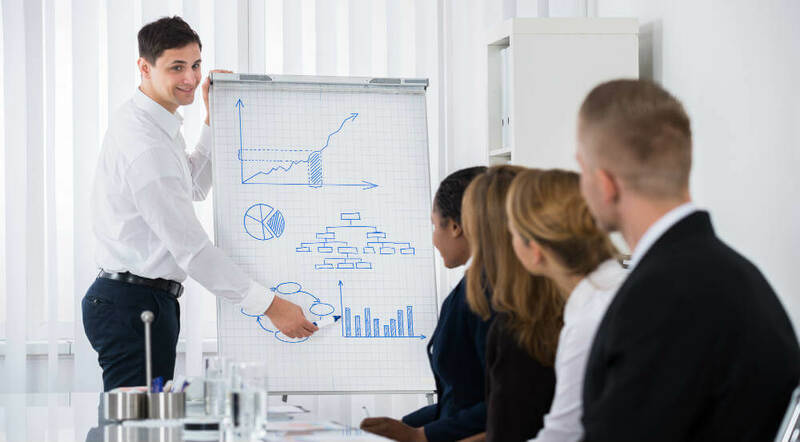 In fact, there’s so many factors to consider that sales management training is a must in order to understand how to forecast your sales team’s business. Forecasting ability also allows senior management to set realistic quotas that are achievable yet challenging. Motivation is key to success in sales. Quotas are necessary to drive salespeople. The quotas managers set for their team should be challenging enough to drive their salespeople to apply themselves and put all their effort into their role. However, quotas that are unrealistic can be demotivating and lower morale within the sales team. Strong forecasting ability and judgement is the key factor in setting strong quotas. Technology moves fast. So should your sales managers. Technology is becoming more important in the world of sales. An industry once dominated by switchboards and cold-calling is now driven by technology such as CRM software. Customer Relationship Management (CRM) software allows sales teams to optimise their selling, expand their lead pipeline, and segment their database. Your sales team management should be trained in how to utilise modern technology in order to enhance business practices and drive sales. Leading by example is very important. By having a strong understanding of the importance of technology in sales, managers can pass this on to their team. Their goal should be to optimise their sales team’s process, and smart use of up-to-date technology is a great way of doing this. With technology, the best method of training is to learn first-hand. Studying new pieces of software and technology isn’t enough, your sales managers should be learning by doing. Many pieces of software have training courses included or available by trial, which can make hands-on training for your managers much more convenient. In addition, your sales managers need excellent time management and planning abilities. This is a key skill for managing sales teams. How could a sales team possibly work to their full potential without a man with a plan in charge? When your team is managing lots of different accounts and leads at once, days can get busy. It’s so easy to allow time to slip away from you, especially during busy business periods. That’s why it’s important for managers to understand effective time management and time optimisation. By optimising how you spend your limited work hours, you’re optimising your sales team’s performance. Time is money. It’s too easy to say “business is going well at the moment, let’s just sit back and watch the profits roll in”. Quality sales managers never do this. They should always be thinking towards the future and working to improve their sales process even further. They need to be organised and optimised, with plans A-Z for each situation. Preparing for potential ‘what if’s’ can be a lifesaver for the sales team. So your sales manager is an expert in time management. That’s a great start. But they also need to be able to form strong strategies in order to maximise sales efficiency and pipelining. A strong, forward-thinking sales strategy is at the core of every successful sales team. Your sales manager should have the ability to independently develop sales strategies that are bespoke to their team and their resources. Every member of the sales team should be aware of the long-term strategy, and the role they play within it. Effective managers know how to properly assess their sales team’s performance. This applies both to their salespeople as a team, as well as on an individual basis. Yes, it’s possible to hire the right people and just ‘let them get on with it’ but this doesn’t nurture development. Each member of the sales team should undergo regular performance assessments in order to ensure that they’re performing to the best of their ability. Salespeople need guidance from their manager. Scheduling performance assessments motivates workers to improve their shortcomings. Assessments can also be used to increase morale by praising the person’s strengths or outstanding performance in certain areas. Carrying out effective performance assessments requires sales managers to pay close attention to each member of their team and think carefully about what to suggest to them. It also requires tact in how this assessment is communicated. Being too polite might not hold enough power, whilst being too harsh can be demotivating. Your business culture has a large influence on the way your sales team performs. Organisation culture in sales teams can be very strong and dynamic. This means that it’s vital every team member is successfully integrated. From the get go, sales managers should only look to hire people who they believe will fit with their culture. Taking on someone who doesn’t seem to fit and hoping they adjust can be very risky. Ideally there should be minimal risk when recruiting for your sales team. Sales managers need to have good hiring practices to build a successful sales team. They need to know exactly who they want in their team and they need to know how to get them. Successful sales teams have a sturdy base on which to build, this base is the core salespeople. Hiring the wrong salespeople for your team can have adverse knock on effects. Not only is it a waste of time and money but it can also damage your team’s flow. Your core salespeople won’t want their team to be in constant flux. The longer you take to offload a less-than-ideal hire, the more time your team is spending not performing to their potential. 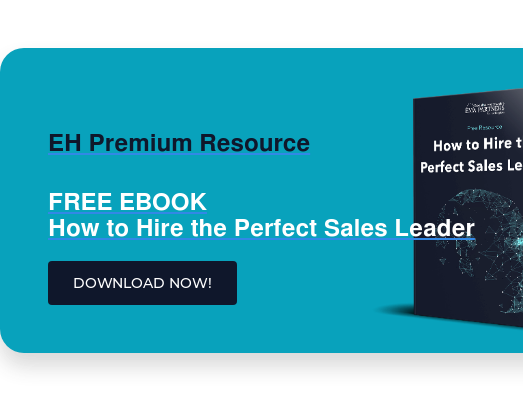 Need help hiring the perfect salespeople for your team? Check out some of our sales interview tips to help get the most out of your crucial interview process. So now you know what areas to cover with your sales training, how can you implement that training? You have a few different options, the right one for you depends on what level of detail you want from the training. Management training days are a popular way of accessing a good amount of quality training quickly. It only takes a day out of your sales manager’s schedule but could seriously help improve their output quality. If day courses don’t provide enough detail in their training for you, there are sales training courses available that span multiple days. These courses are a good option if you want your managers to receive a large amount of direct training, but obviously require a greater investment of time than other methods. Online courses are the most convenient form of sales management training. They can be accessed at anytime, anywhere. These courses allow managers to work at their own pace, fit conveniently around their no doubt hectic schedule. 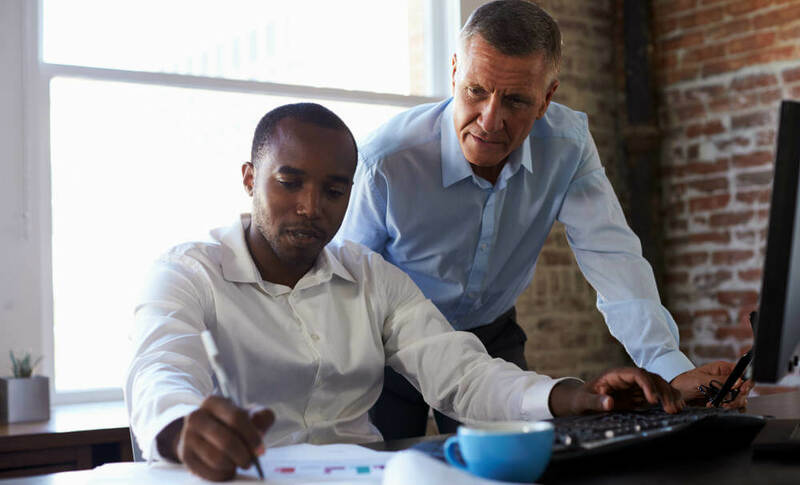 Mentoring is one of the most useful ways of training your sales managers. Training that’s provided by someone who’s familiar with the trainee has the opportunity to be more bespoke and carry more of a personalised element. For example, if there’s a more experienced sales member in your business, such as a sales director, this person can often provide valuable mentorship. The trainer doesn’t have to be local to your business either. Consider recruiting external sales managers/directors to help mentor your sales manager. Often some of the best guidance can be provided by others who have experienced the same situation your manager is in. Ultimately, the important thing to remember is that in sales you’ve got to have the right team. Being a strong sales manager can help of course, but without the right salespeople in your team you’re wasting your opportunity. A quality sales manager should be able to spot who will fit into their team and their management style. They should be able to mould them to be the perfect fit for them. But what makes up a successful sales team in 2018? To build a dynamic, successful sales team there’s a lot of things to keep in mind. We detail this in our article about recruiting a profit hungry team. Every successful sales team needs a strong leader at the helm. Without a successful manager the chances of their sales team reaching their potential are slim. If you can provide your sales manager with as much valuable training as possible, you’ll be setting yourself on your way to establishing a dynamic, successful sales team.